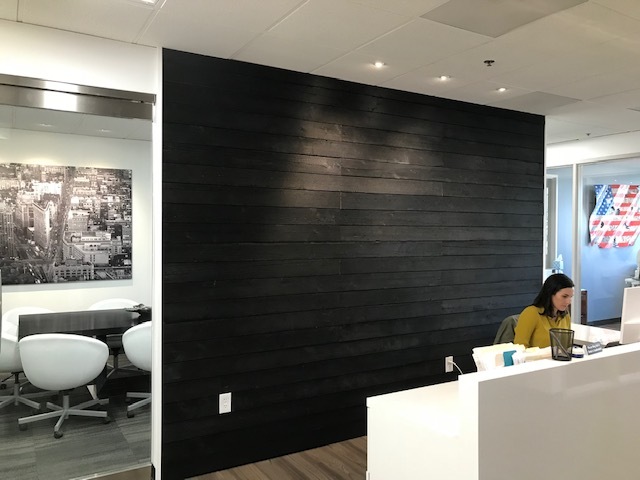 Pioneer Millworks Should Sugi Ban sustainable wood as paneling behind a reception desk. 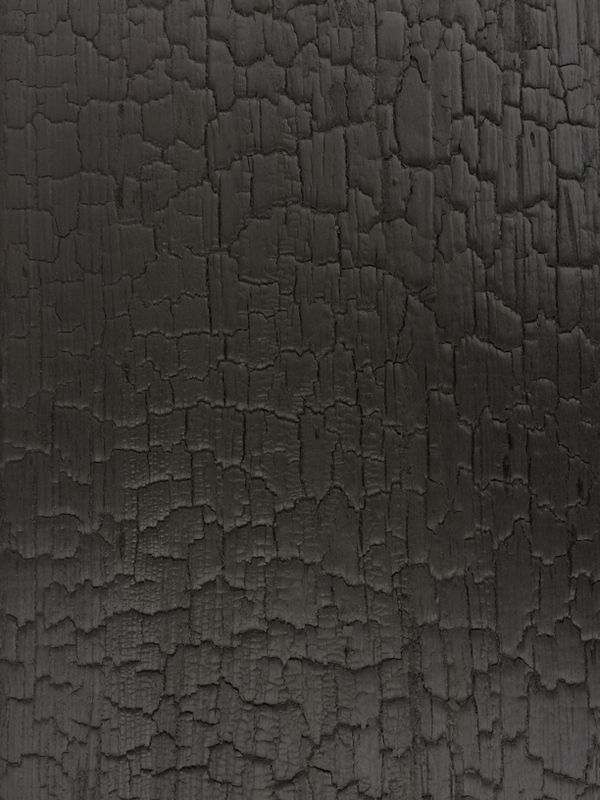 Shou Sugi Ban is an ancient Japanese technique of burning wood as a preservative treatment for exterior siding. Deep Char, as the name teases, gives our sustainably harvested Larch a dark, slightly iridescent look with an “alligator skin” texture. 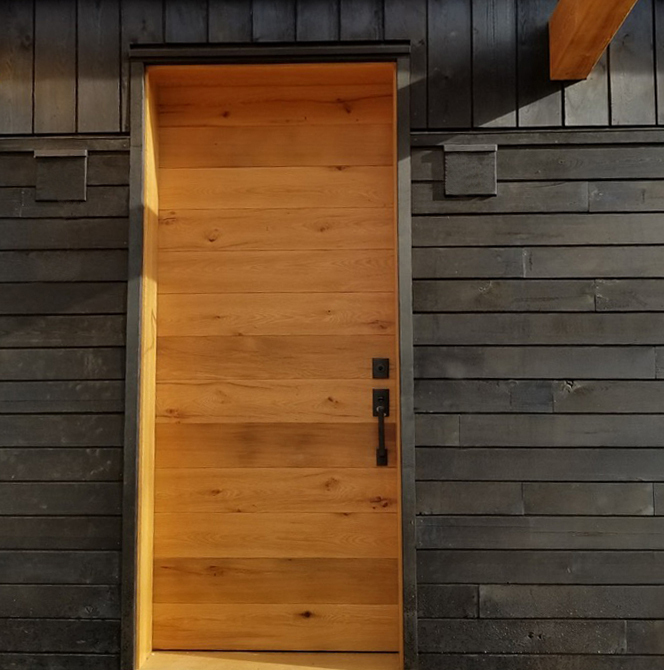 Shou Sugi Ban—Deep Char is sold as interior paneling (If used in interiors, the deep char is best in places where people or chairs won’t bump or lean against it) or exterior siding, the char level can change over time, depending on its exposure to the elements. 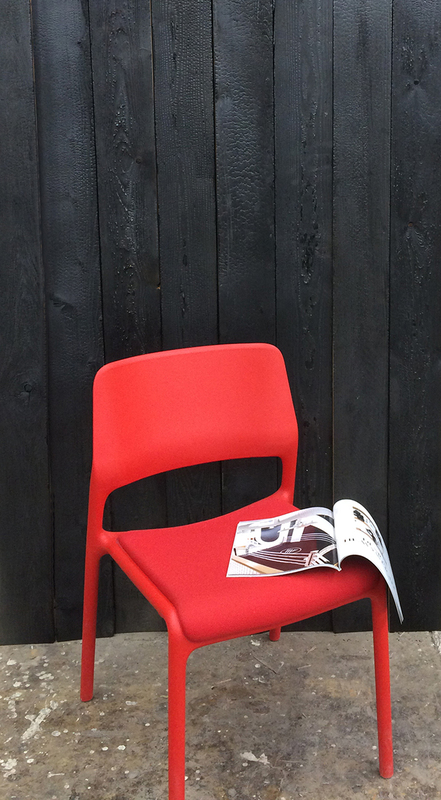 We treat our Shou Sugi Ban Deep Char with an ebony tinted poly sealer to help even out wear. The evolving look suggests the Japanese aesthetic of wabi-sabi—a reminder of the transience and imperfection of all things.